Book your 2019 Inca Trail tour while permits are still available! On all Southern Crossings tours airport transfers, domestic flights and entrances to sites are included. 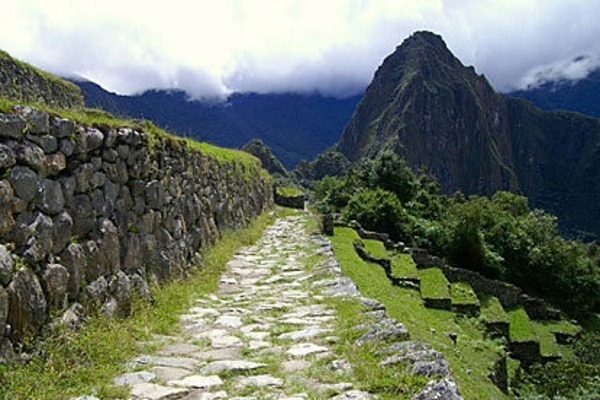 Choose Southern Crossings for hiking the Inca Trail. 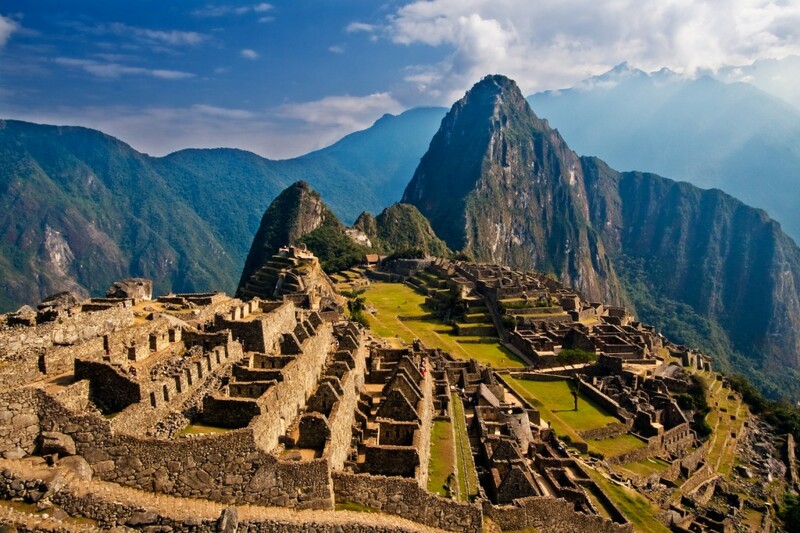 Give us eight days and we’ll give you the best Inca Trail Tour to be had today. Our guides are the best in the business, with excellent service, great knowledge of the trail, the Incas, the flora and fauna, and fluent English to go along with it. Our cooks are also top-notch, serving up delicious food the entire way. All you’ve got to do is hike and enjoy the incredible sights and vistas unfolding before you. You’ll also have days for city tours in Lima and Cuzco or include other activities instead. Day 2: Flight to Cuzco. City and ruins tour (or Sacred Valley tour and overnight in Ollantaytambo instead of Cusco). Day 3: Free day to acclimate. Day 4-7: Inca Trail, Machu Picchu. Day 8: Flight to Lima, departure day. Arrive in Lima anytime today and private transfer to your hotel. If arriving during the day, your hotel will be in the neighborhood of Miraflores, with good artesan markets and restaurants and you’ll have an included city tour in the afternoon or you will have a Lima city tour when returning to Lima. If you would prefer to stay in Cusco or the Sacred Valley and skip Lima altogether let us know. The city tour lets you explore the wonders of the colonial capital, you visit the famous Plaza de Armas, as well as the impressive Cathedral in the Plaza and the beautiful San Francisco church. You also get a chance to take in some beautiful views of the coast at Parque de Amor (Option 1). Option 3: Bicycle tour of Lima and Barranco. A short flight brings us to the famous Inca city of Cuzco. After checking into your hotel, we set out to explore the incredible capital of the Inca Empire. We head to the picturesque Plaza de Armas to the fascinating cathedral to see the colonial influence in the city, and we can admire the stunning architecture of the church and also the native influences subtly woven in into the artwork. Onwards to Qoricancha church, where the colonial and Incan architectures are on display side-by-side directly contrasted with each other. Afterwards we make our way above the city to the imposing fortress of Sacsaywaman where we can marvel at the incredible stonework and architecture of the Inca civilization. We head back to Cuzco in the late afternoon. A free day in Cuzco to acclimate to the high altitude before hiking the Inca Trail. People watching, strolling and visiting some extra sites on your Cuzco Visitor’s Ticket can easily fill a day, but if you’d like to ride horses, go mountain biking, or visit the Sacred Valley, just let us know and we can arrange it for you! Early to bed as the Inca Trail begins tomorrow! Option to add a Sacred Valley tour to your itinerary and sleep at a lower altitude tonight and closer to the start of the Inca Trail, just ask. Early this morning we start walking the Inca Trail towards Machu Picchu! A morning drive brings us to Pisacucho kilometer 82, start of the world-famous Inca Trail trek. Our first day is an easy one to get acclimated, as we gently climb through Andean valleys to the village of Huallabamba, making our first camp just above it. Along the entire trek we are well taken care of by our team of porters and cooks, freeing us up to fully enjoy the Inca sites and vistas unfolding before us. Parakeets, bromeliads and the major Inca site of Llactapata are some of today’s highlights. Tonight we camp at Wayllabamba. Morning flight to Lima. International flights may depart any time after 2pm. Classic Inca Trail is an eight day tour which includes a four-day, moderate trek as well as walking around ruins and during city tours. No trekking experience is required, but one should be in average physical shape and not suffer from any heart or respiratory conditions. As always, a certain patience is required for the inconsistencies and occasional delays of developing-world travel. Hiking the Inca Trail is an amazing experience. Four days hiking the Inca Trail – including bilingual guide, cooks, porters, tent, sleeping bag and mat. International flight to/from Lima, pre- & post- tour accommodation, visas, vaccinations, personal insurance, meals except where specified above, drinks, laundry, souvenirs, or tips. Medical travel insurance is not included through Southern Crossings. Cancellation insurance is advisable. In Lima/Cuzco/Machu Picchu: $150 double/$130 single. Add extra activities such as a sacred valley tour, river rafting, horseback riding, mountain biking, hiking, climbing, zip lining, surfing and free days to your custom itinerary. Ask about these options and we’d be happy to add them to your quote. If you have any special requests or interests like birding, cooking or crafting that you would like to explore please let us know! This tour includes 3 star hotels. We would be happy to give you an upgrade to four or five star. No immunizations are required of travelers to these areas of Peru. Travelers may wish to receive hepatitis vaccinations and should be current on all other standard vaccinations. There is no yellow fever or malaria in the areas you will be visiting. Please consult your physician or local health department for more information. During our trek, porters will accompany us to carry most of our things, including all the camping gear. Each passenger is allowed 15 pounds/ 7 kilos of personal items which will be carried by the porters. Such items would include warm clothing for camping, toiletries, etc. During the day you’ll be using a your daypack and will just need to carry water, snacks, rain gear, and a layer for changing weather conditions. Of course most people also carry a camera. It is best to bring from home such items as prescription medications, eyewear and care, unusual film and camera batteries. Please bring any used batteries back home to recycle! Inca Trail: variable depending on altitude, from hot to very cold, with rain always a possibility. Machu Picchu: lower and warmer than Cuzco, with rain possible all year round. For your international flights, please check with your airline. Within Peru, you are allowed 23 kilos (46 lbs) of checked baggage, as well as one carry-on and another small, purse-like item. The carry-on size regulations are the same as international carry-on size regulations. Note: if your passport number changes, it is important to notify us immediately. If you are hiking the Inca Trail, you must bring at least a copy of the passport with which we procured your Inca Trail Permit.